2,000 years ago Jesus said "Feed My Sheep." We believe he meant more than just food. He also meant Love, caring & compassion. 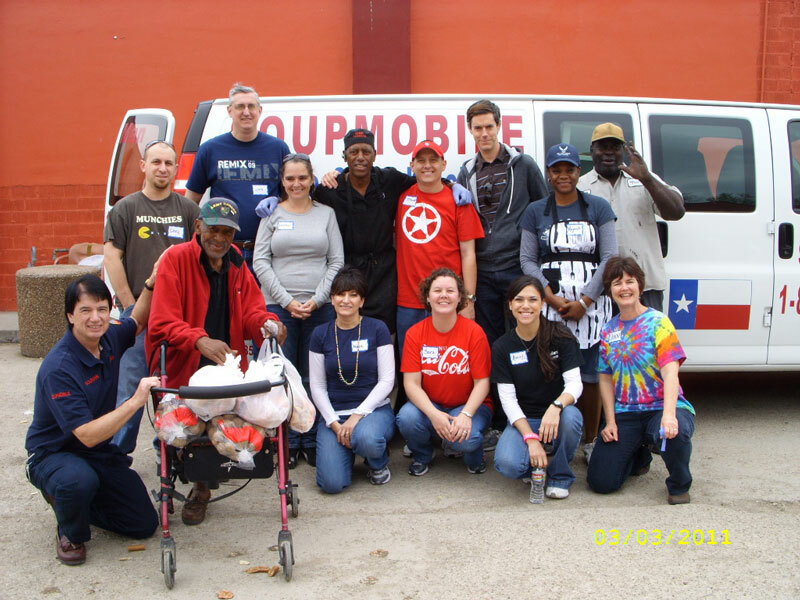 As such the SoupMobile is always in need of compassionate & enthusiastic volunteers. 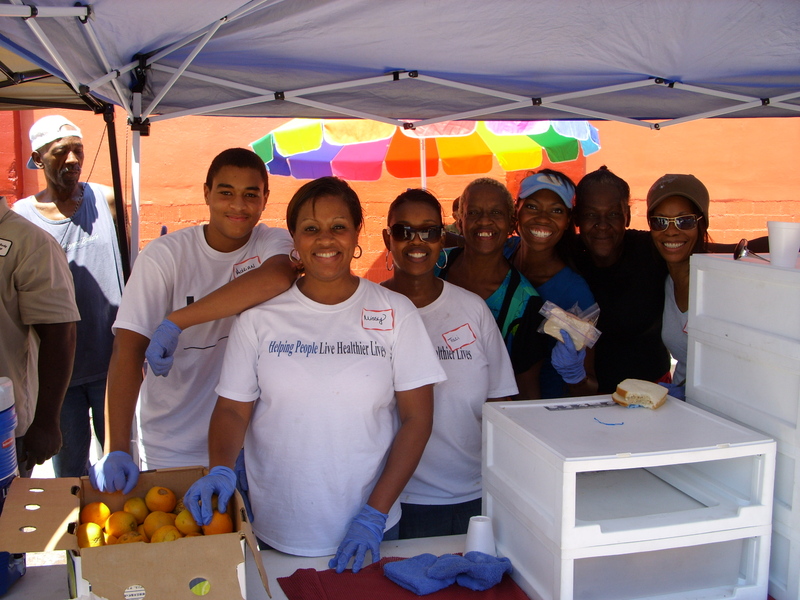 The SoupMobile has a wide variety of volunteer opportunities and we welcome individuals, families, Church groups, businesses and other organizations. Feeding the homeless: Come & join the SoupMan & his fabulous SoupTeam as we serve food to the homeless in our outdoor mobile feeding operation. It’s a totally unique experience & your heart will be touched as it’s never been before. Office help: Answer phones, conduct internet research, file forms, greet volunteers. Cookie Party: We encourage groups, families, churches and schools to bag up cookies that the SoupMobile can distribute to the homeless. You provide all the fixin's & love and have the cookie party at your location. SoupMobile Church: (For the Homeless). We need ushers, food servers and prayer warriors. This is a great Sunday morning volunteer opportunity for individuals AND families. To volunteer with the SoupMobile, you must be at least age 21 years of age. Have an appointment on our volunteer calendar. Please no volunteers under the age of 12 — our facility is not an appropriate place for young children and toddlers. As Executive Director & Founder of the SoupMobile I want you all to know that there is nothing fancy about the SoupMobile. 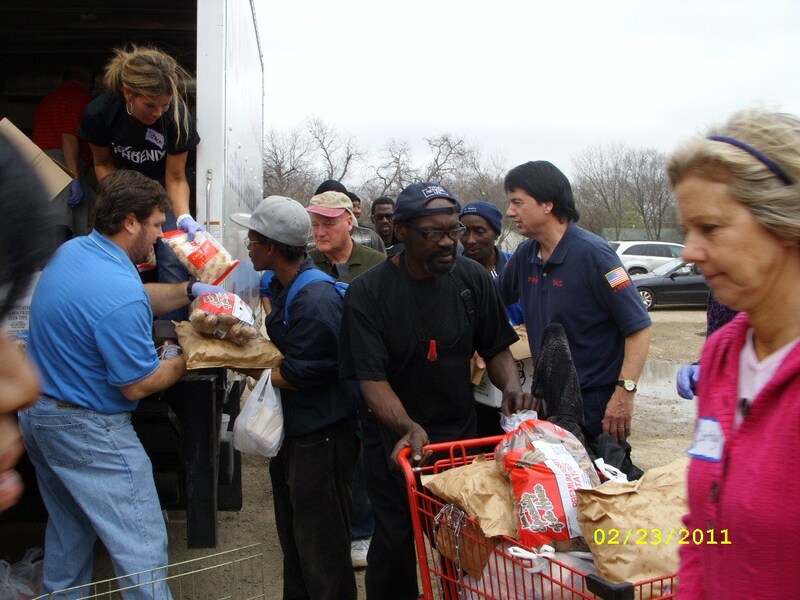 We are an old fashioned, down to earth charity that has devoted itself to ‘Feeding & Sheltering’ the homeless in Dallas, Texas since 2003. We watch our pennies closely and we do NOT receive (nor do we ask for) any Federal, State or City funding. We are a true stand-alone ‘blue collar’ charity that depends on regular people like you to help fund our mission. So while we deeply value our volunteers, it's important that you understand that we need more. 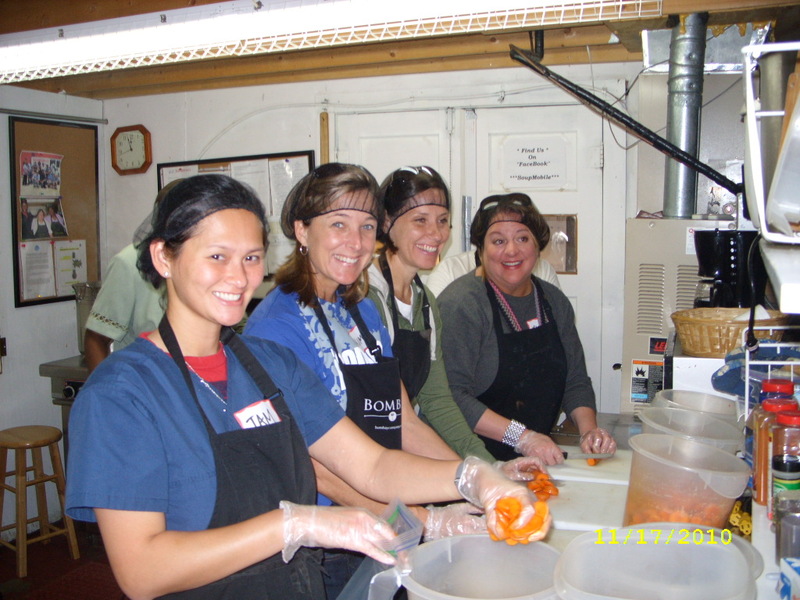 I am fully aware that many people think that the giving of their volunteer time is more than enough. And for some charities that receive major federal funding, your volunteer time alone may be enough. However, for the SoupMobile it’s a different story. We need both your volunteer help and your financial assistance. How much financial help you ask? It could be as little as One Dollar or as much as One Million Dollars or anywhere in between. All I am asking is that you recognize that for a stand-alone charity like the SoupMobile it costs real dollars to ‘Feed & Shelter’ the homeless.